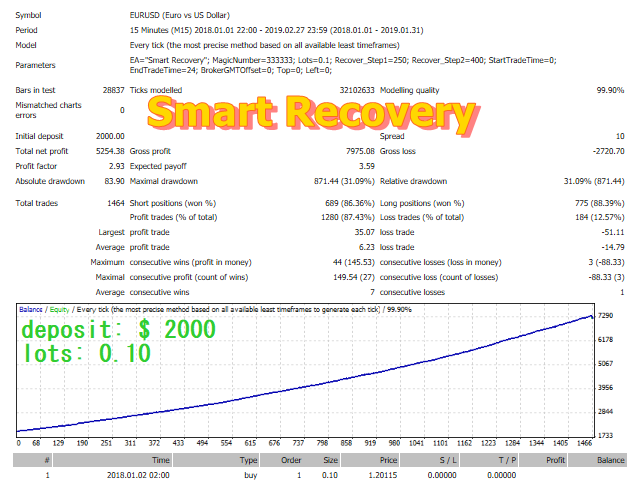 Smart Recovery is a fully automated Expert Advisor. 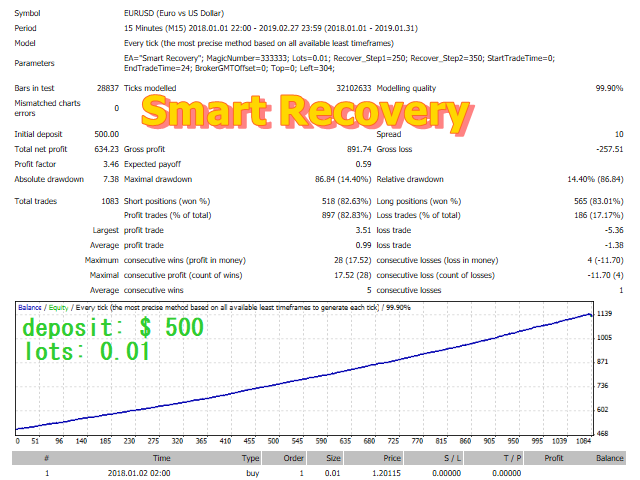 This Expert Advisor is based on the Money Flow Index (MFI) and uses the recovery strategy system. The Money Flow Index used to evaluate oversold and overbought market conditions. MFI values of 80 and over indicate overbought conditions, meanwhile, values of 20 and below indicate oversold conditions. For this indicator, it has been applied to be more efficient by modifying to be consistent with the current market conditions. 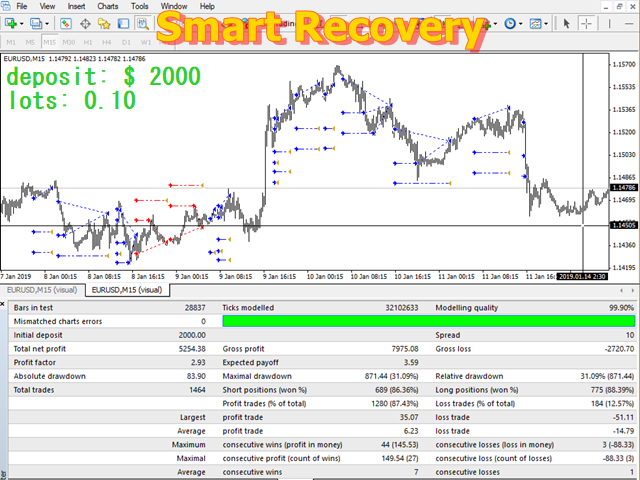 This algorithm uses recovery strategies by working with price levels by two levels. 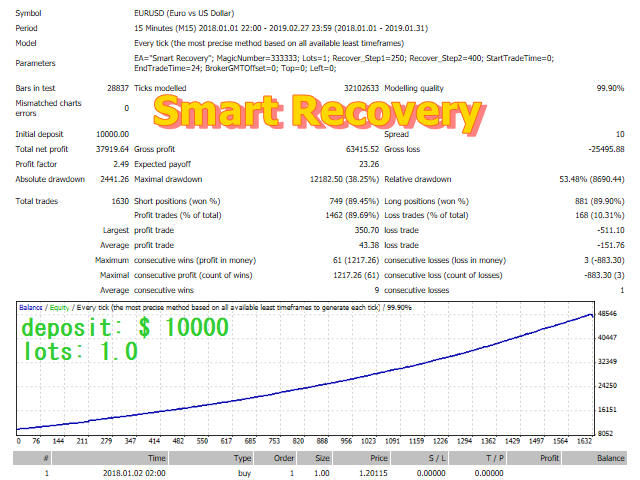 Explain that the recovery system mechanism at the price level 1 and 2 uses the same lot size as the initial lot size. This EA is not used to increase lot sizes such as the Martingale method. The system can be traded full time in all conditions.